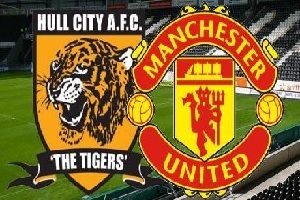 Hull City will face Manchester United in the Premier League on Saturday. Hull surprised me by winning their first two games, despite the loss of their manager Steve Bruce and a lack of first team players. They have defeated the current champions Leicester and also Swansea, but United is something completely different. Manchester have also won all of their games till now. They are playing nice attacking football and control their games from start to finish. Pogba fit in perfectly and will improve his performace with every single game. Zlatan Ibrahimovic is on fire, he scored three goals in the first two Premier League games. In my opinion Manchester is capable of winning by a couple of goals with ease. instagram takipçi hilesi istediğiniz kadar takipçiyi gelin ve alın. hem de ücretsiz. A look at how taking time out of your day and building mindfulness into your life can improve your performance at squash, and indeed any other competitive sports. Buy online accessories at sports & outdoors deals. The process is simple, but the potential benefits are amazing!